Chair glides to replace casters. Turn any office chair into a stationary one. 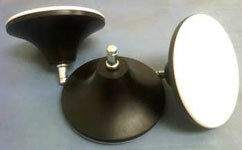 Glide across carpets by eliminating both old-fashioned casters and the required plastic mat. Fits all standard office chairs! 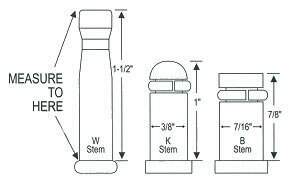 Stem B 7/8" x 7/16"